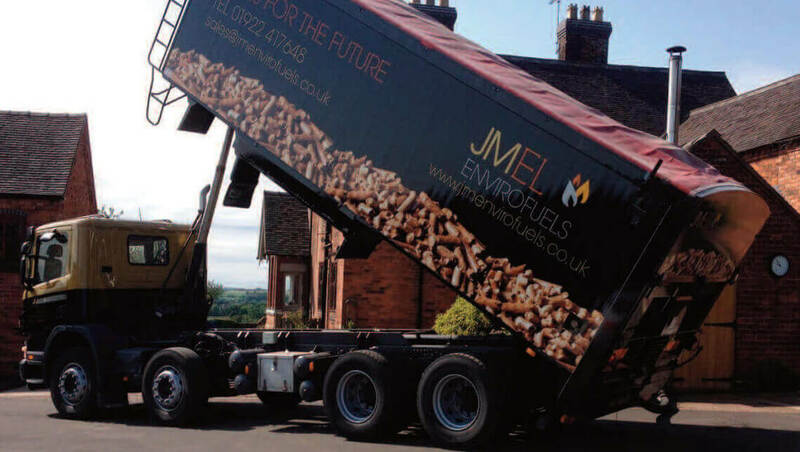 JM Envirofuels, part of the Jack Moody Group was formed in 2005. and is based near Wolverhampton, with depots throughout the West Midlands and Shropshire. Jack Moody Group, was formed in 1963, began recycling timber in 1996. When, in late 2000, the wood fuel market emerged in the UK, the company began to develop recycled wood fuel products specifically for heating and power generation. The company has subsequently become a key player in the wood fuel market, not only in the Midlands, but nationally, with annual sales of over 100,000 tonnes, and an expanding customer base. In addition to our clean recycled fuel, we also offer fuel made from virgin timber, for those customers who may prefer it. The primary aim of JM Envirofuels, as with all of the group companies, is to develop long-term relationships with our customers by offering exemplary products and service, throughout the UK. We have been processing wood products since 1996, with experience and a track record which is second to none. We fully understand the importance of fuel quality - we use wood fuel ourselves at our own premises. We have secure and long-term access to hundreds of thousands of tonnes of woody biomass material suitable for conversion into fuel. We have a vehicle fleet 99 strong, which includes wood chip blowers and wood pellet delivery tankers, managed by an experienced transport management team and with friendly, helpful and knowledgeable drivers. We have a strong sales management and administration team. We are a secure and profitable business which has invested heavily in wood fuel and is, therefore, committed to the long-term satisfaction of our customers.